I agree, he never seems to BS at all. But to be honest I've seen other actors that seem very honest and yet in not egotastic. But hey I'm not turning this into a I HATE SEAN ASTIN thread... It's all good... Peace and love !!! I know there's alot of talk about Woods' "perpetually youthful" appearance...but it is nearly a decade on since principal photography of LOTR and he may not be so convincing back in the ole wig & feet....and before someone suggests "but CGI...", let me remind you we're (reportedly) talking about a narrator. If the creative minds on this movie ( THE HOBBIT let us not forget) are wasting time and money on making Frodo Baggins look 10 years younger, this project is shaping up as a (hopefully at least hilarious) fiasco. He'll close the red book and say "And that's the end of that chapter... We'll have to wait a while to get the rest of Bilbo's adventure as I'm too tired for today now who's up for some Longbottom leaf?" I honestly don't see it as 'bringing back cast members'. Many of these characters existed at the time of the Hobbit, and the rest were born and grew up before LOTR. The two hobbit films will, I guess, be 6 hours or so in Theatrical versions, maybe 7 hours in EE. 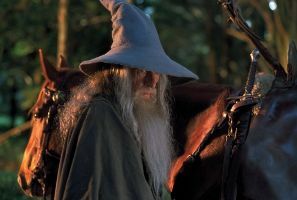 If Legolas gets a minute or two, a boy Estel at Rivendell, a flash of Balin at Moria, even a young Gimli, it would hardly detract from the vast bulk of the Hobbit at all, and could set up FOTR very nicely when watching the films as a set. to peices too, but I have to admit, I DID read his book, and I have to give him credit for not holding back and including stories of things he said that offended several people and for which he later repented. For instance, he came out in the press and was angry at Peter and Fran for the take of the famous Mount Doom sequence that made it to the screen. Peter did about 30 takes of the "Do you remember the Shire?" scene (OH GOD I still tear up just thinking of this), and Sean and Elijah got better and better as it went on. According to Sean, his best work, where he was the most emotional, was in the closing takes, but Peter ended up putting something around Take 15 in the final version, and Sean thought it wasn't good enough, he was po'd about it and splashed it all over the media. (Hard to believe that Sean could have been any better than THAT, remembering that scene, and I've always been curious ever since to be able to see Take 30...but the way I see it is, Peter wanted more of the "even as hope seemed to die in Sam, a new strength rose up in him, as if he were steel that could not bend or break" or however that phrase went, and he wanted to evoke that "sam finding new reserves of strength and defiance" look rather than a weepy and emotional Sam. But for Sean it was a cop-out I suppose. For the life of me, after he experienced the audience reaction to that scene, I don't know what in heck he had to complainb about. Planet Earth was pretty much reduced to a puddle of mush by that scene, and it has become famous in modern film. Then again, didn't he admit he was bipolar? Suppose it explains "I SO wanted to be up there!" (Oscars stage). Parts of the book shocked me, but he's past all that now. Nobody's perfect, and I forgive Sean his flaws. the only one that could be a "returning cast member" is Orlando Bloom. Obviously Viggo Mortensen can't play a 10-year-old boy (at least, not convincingly), and I don't see John Rhys-Davies as a young dwarf, either. Did they show Balin at Moria in LOTR? I don't remember. CUT TO: A few more scenes of morning in Hobbiton. CUT TO: A trembling hobbit child (Holfast Gardner?). The story has become a bit too intense for the young hobbit. Sam interrupts the tale to speak a word of comfort, pauses to consider�The story resumes, but now in a gentler (strictly PG-rated) tone more reminiscent of JRRT�s original HOBBIT as written. The tone of the Film will only slowly build back to the PG-13 intensity of Jackson�s LOTR films. CUT TO: Sam looking into the eyes of the hobbit children. "�Going on from there was the bravest thing Bilbo ever did. The tremendous things that happened afterwards were as nothing compared to it. He fought the real battle in that tunnel alone, before he ever saw the vast danger that lay in wait�" Sam pauses and looks into the eyes of young Holfast. Holfast sets his jaw and nods deliberately as if to say "Yes. Go on." At this point the tone of the film has returned to the PG-13 level and intensity of Peter Jackson�s LOTR films. The image of Bilbo walking down the dark tunnel toward the light and heat of the dragon�s lair draws obvious parallels to Sam�s own experience at Mount Doom. Gandalf, Balin and Bilbo settle down with their evening pipes outside the doorstep of Bag End. FADE TO: Sam and the children sitting on the very same doorstep all those years later. It has changed little. It is now evening for Sam and the children as well. He finishes the tale and sends the children off to home and bed. Some reside at Bag End. Sam takes a moment alone to look at the stars. He recites a bit of his own poetry. As a few of the children enter the front hall of Bag End, Elanor (Sam�s eldest daughter) steps outside. She brings a satchel and Sam�s Elvish cloak. He has a moment with his daughter. A company of Elves comes around the hill on their way west to the sea. Sam has been expecting them. He heads off to join them with walking stick in hand. Where would Peter be without his beloved slo-mo? It's like Guillermo's tentacles. Ah, not knocking ya Peter. At least not yet. <g>. Sometimes that slo-mo made me cry. I hope the threads get better--I can't wait for the Sir Ian confirmation thread myself. But I did say 'before the time of LOTR' as well, and we don't know that that time period will categorically be excluded from these films. The point I was making, though, is that there is nothing intrinsically wrong, imo, with using characters from LOTR in these prequels - Tolkien gives us immense detail on their whereabouts. Whether we see the same actor, or the character as a child with a different actor, it still serves the prupose of introducing the character into the five movies. The only thing I would object to, as I said earlier, is if the character is shown with a major difference in story. While I thought he was the coolest of the hobbits behind the scenes, for instance that "safety sam" part with helicopters was a lot of fun, I have also heard that his book is whiney. I have to read it myself though to form a better opinion. Although it reminded me of the unfortunate fact that The Return of the King film didn't end with Sam living in Bag End. But aside from that, I think that some way of bringing in those wonderful narrative lines that otherwise might not make it into the movie would be great, whichever hobbit they choose in order to do it. I don't remember the end of LOTR or appendices on this...but in the book, Sam does not live in Bag End? I know he did the first couple of years after his marriage, Frodo says "There's as much room in Bag End for as big a family as you'd wish for" and Sam does move in. But after Frodo departs? He can certainly afford to keep Bag End, I imagined he returned well recompensed from Gondor. Did Sam's giving up Bag End come from his regret over losing Frodo--hard to stay in a place that reminds of of your best friend who "died"--or was it just good politics on the part of the Mayor of the Shire--hobbits can be tetchy about those who "returned from living in foreign parts" and it makes good political sense for Master Samwise to love to humbler dwellings? Or did he think Bag End was cursed...Hey I don't admit toknowing as much as you guys do. They must have left that out of the movie for pacing reasons, but I honestly don't think it would have been that difficult to incorporate it. So I'm not sure what the movie-verse explanation is for him not living there (if there is one). you, Kangi and I are united in our outrage at the notion that any future book by GDT could be as whinny as Sean Astin's book (which I admit to only have skimmed at a local bookstore). as much as I like PJ's films so far, his signature techniques (which between us we outlined fully) have been over done. But I LOVE French Fries (Even if they were not invented in France). As to the Camera...that would be a hard one to fence. I am sure each one is heavily documented. I have been impressed with your work and especially enjoy your off tilt dark sense of humor. Your postings on the Kong is King web site are fun and remarkably informative. I am 56 years of age and recall King Kong as one of my earliest TV experiences. I watched most of it from behind the couch. The Dino remake was a disappointment to say the least. I am looking forward to The King�s release. I am also looking forward to what hopefully will come beyond. I am referring to the possible production of the Hobbit as a sequel to LOTR. I am and have been a serious scholar involved in the study of Tolkein�s work since 1973. I will say up front that I enjoyed your version of the myth immensely. Every single person that worked on that project deserves congratulations and well done. I recently attended the Fiftieth Anniversary Conference at Marquette University , Milwaukee WI, USA and became involved in discussions with several of the leading writer/experts on Tolkein�s work. There were a number of people there who had found their first taste of the Professor�s work in your work. There was a bit of mostly unspoken animosity toward these �movie people�. I approached a couple of the presenters during breaks and questioned them about their response to the films. I did this as by introducing myself as a �book & movie person. I detected a good deal of resentment in the responses I received. �It�s a boy�s action adventure movie.� One man said. I pointed out that I had been involved with those fans that loved the films and that by far this group was made up disproportionately of women. His response was something to the effect that it was just a response to the �Hunks� cast in the leading roles. I actually laughed. These women are mostly in the age range of 30 to 60. Some had read the books, some had not: all of them are. He did not want to talk after that. 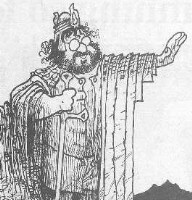 Some of the scholars fear that the popularization will diminish the stature of LOTR as literature. Some appear to be a bit possessive and don�t want to share. Others riled against �unnecessary� story changes that were made by the films. I spoke on behalf of the idea that, as the storyteller you gave your version of the myth, and it was not necessary to judge one against the other but to appreciate each for what it was. I truly thank you for the years of your life that you put into this film. Last but not least I am writing to share an insight that you may or may not take to heart. 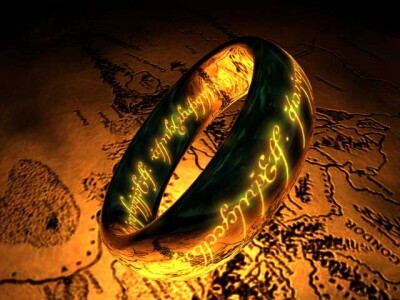 It involves an Idea about a possible structure for the script� The Hobbit� as a sequel for LOTR. Please do not run shrieking into the woods. I am sure you get thousands of suggestions both good and bad but please hear me out. You should maximize the connection to LOTR: this could be done by setting up the body of the story as a flashback. The story could start in the shire at the end of The War of The Ring and be introduced in several possible ways by one or another of the Hobbits. This beginning could incorporate some unshown part of the LOTR story line and include cameos by some or all of the original actors. This action sequence could lead into the Hobbit, which could come back around again to LOTR. I offer this only out a deep feeling of gratitude and strange feeling of kinship. It would be truly remarkable to hear from you, but I consider this letter a message in a bottle. P.S. I belong to a chapter of the Tolkien Society here in Minnesota. (Barry Osborne�s home). We are screening the Extended trilogy (got the rights from New Line) on the big screen on New Years Eve for about 1300 of our friends and family. It will be fun. Wish you could be here. It would be a hoot. Note: I clipped out addresses and I am now 62 so that dates the note. I also put the pertinent text in bold. in that you are indeed correct. I would go so far as to say that 'whiney' is to Guillermo as 'cuddly and loving' is to Gollum. I have come to the opinion that the book can best be served by an adaption that makes it neither a prequel nor a sequel. I also said that I was ambivalent about the whole thing. It will all depend on how the story is handled. I am of two minds about a lot of things involved in the making of the Hobbit film. It really could go so many ways. I just do not want it to fail for stupid reasons like greed or ego. It will be harder to make great cinema with the play within the play structure, but it is possible. Hollywood is completely nutty, and LA has it's less-than-savory areas, too! While I want to enter the industry, there are many reasons why I want to be behind the scenes, not on screen, and I consider myself lucky that I was not born into the industry. It's really a hit or miss with childhood actors, and children born with parents in the industry. As for Sean, he was always... very blunt. Perhaps less humble than expected by society. But his heart seems to be in the right place, and that is all one can ask for. basically PJ will do exactly what he's been advised not to do, which is to remind us that the Hobbit is in fact a prequel. I have a mixed feelings. I don't know. I love the Hobbit. I think we all Tolkien fans and LOTR movies fans don't necessarily need to be reminded what the Hobbit is.